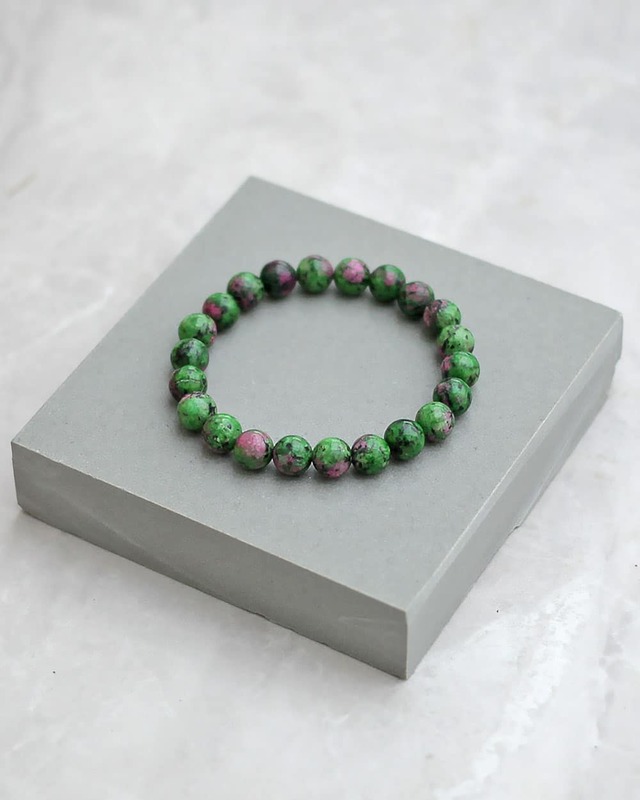 Your bracelet will be made to order. This means you can select the size you'd like it to be.Don't know the size of your wrist? That's ok, you can use a tape measure, measuring at the point where you'd like the bracelet to sit. This is normally between the hand and the wrist bone. Use a tape measure and measure your wrist in the same way you would measure your waist. If, for example, your measurement was 16.5cm (6.5"), I would make the bracelet with an inside line measurement to match. This will ensure your bracelet fits well to your wrist. 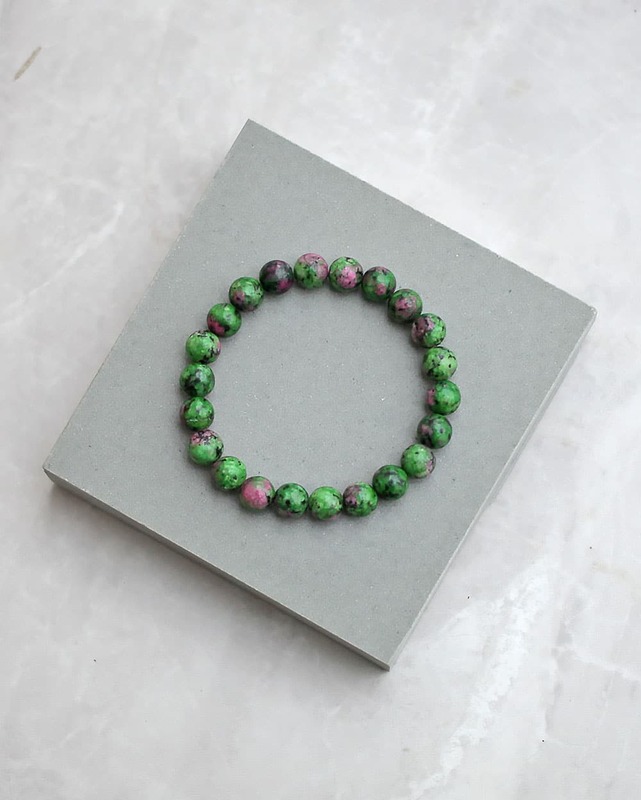 A stretch bead bracelet should fit so that all of the beads are touching your wrist. You don't really want any slackness there. 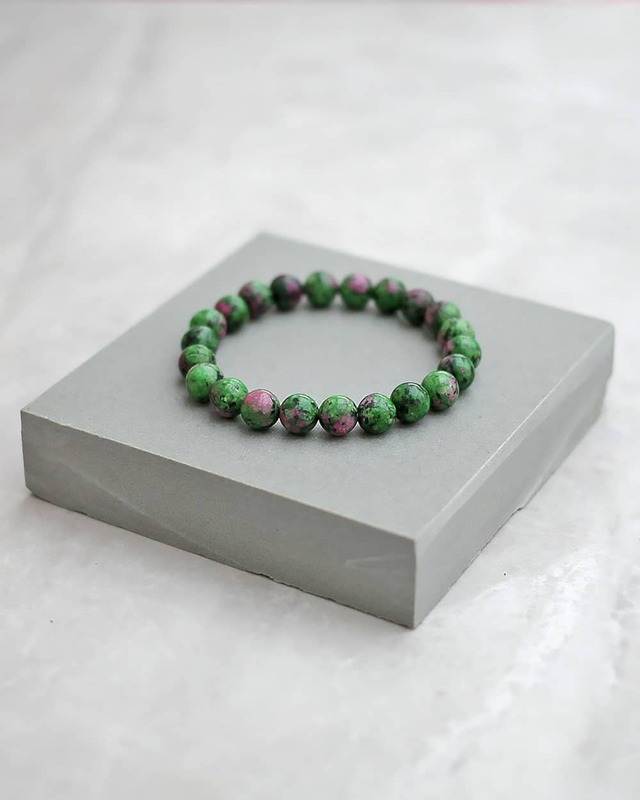 This Ruby Zoisite bracelet is made with 8mm diameter stones and a strong nylon stretch cord.